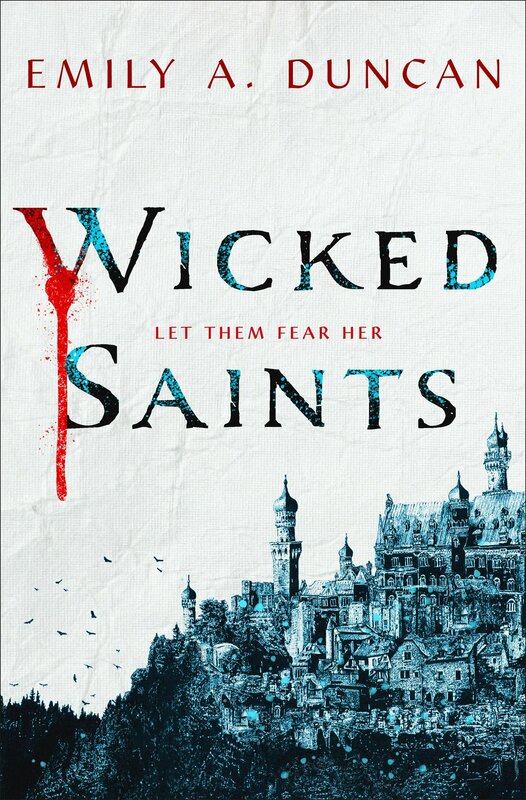 Wicked Saints by Emily A. Duncan was a dark, magical ride that I enjoyed every minute of. Duncan took well-loved tropes and flipped them on their heads in refreshing and fun ways that made me love the characters, particularly the main three: Nadya, the “uptight” (with reason) girl who didn’t need a sword to be badass; Malachiasz, the dark and broody love interest with more under the surface; and Serefin, the sad, tired, and drunk boy who needs a nap and a hug. I loved how ominous the atmosphere felt, and how it was balanced out with lust and humor, so the story wasn’t oversaturated with the darkness. The magic systems were unique and interesting. I loved that Nadya was working with a different magic than Serefin and Malachiasz. Each character had a slightly different morally gray point of view, and no one was made into more of a villain than the other. The contrasting opinions were handled very sensitively, while making the characters behind the opinions real, endearing, and people we could root for, even if we didn’t agree. I enjoyed that Nadya’s character arc focused on questioning her faith and losing faith in the magic she’s known all her life. It made for a complex character considering she’s essentially been a vessel for the gods for as long as she can remember. I highly recommend this soon-to-be staple in young adult fantasy. 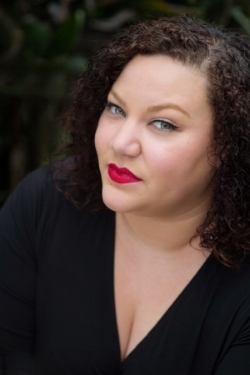 Wicked Saints by Emily A. Duncan will be published April 2, 2019. You can preorder it now by clicking here. I received Ignite the Stars by Maura Milan in exchange for an honest review. I'm giving it 5/5 stars. Ignite the Stars by Maura Milan was published September 4, 2018. Veronica Mars meets The Craft when a teen girl investigates the suspicious deaths of three classmates and accidentally ends up bringing them back to life to form a hilariously unlikely—and unwilling—vigilante girl gang. So when Riley and Fairmont Academy mean girls June Phelan-Park and Dayton Nesseth die under suspicious circumstances, Mila refuses to believe everyone's explanation that her BFF was involved in a suicide pact. Instead, armed with a tube of lip gloss and an ancient grimoire, Mila does the unthinkable to uncover the truth: she brings the girls back to life. Undead Girl Gang by Lily Anderson wasn't exactly what I expected, but, damn, if it wasn't great. The leader of the undead girl gang, Mila, isn't undead at all, but a fat, Mexican witch. She is funny and strong while still being vulnerable, with the perfect amount of hope and naivety that keeps her and the story going. I didn't know, when starting this book, that she would mean so much to me, a fat, white, agnostic. Mila's confidence is a thing of beauty. She knows who she is, what she is, and the plot never centers around changing any of it. When Mila's confidence faltered, I felt it with her. When she told people off for the things they said, I cheered for her. She's the perfect balance of real and unreal, showing the readers it's okay not to be perfect while also showing them it's possible to keep going and strive to be better, to be treated better, to attain your goals. I've never read a book with a Wiccan main character and it was really interesting seeing the difference between Wicca and the magic put on the page. As someone without a religion, I find it interesting to dive into someone else's head and see their beliefs and how they inform the character's actions. Anderson does a great job at mixing humor with sadness. When we first meet Mila, she's at her best friend's funeral. And Riley isn't just Mila's best friend; she's her only friend. We feel this loneliness, this loss, even without knowing Riley, because we can all imagine losing the person we're closest with. The undead girls get seven days before they have to return to their graves and, despite knowing this fact, there's still time for shenanigans, which is a great balance to the growing dread of having to say goodbye. The voice and characters are amazing. Anderson made me love the characters Mila despises from their first appearance. The girls are all unique while still managing to be someone you probably know. Their humanization was probably tricky, but Anderson nails it. And I won't get into it too much, but the romance was sooooo good. My heart. Oh, my heart. Lastly, this book has one of my favorite covers ever and I need to get a jean jacket and these pins ASAP. Okay, last lastly, Netflix needs to adapt this please. Thanks. Undead Girl Gang by Lily Anderson releases May 8, 2018 (TODAY!!!). I received an advanced copy from NetGalley in exchange for an honest review. I give Sky in the Deep by Adrienne Young 5 out of 5 stars. I'm going to be honest. I almost stopped reading after the first chapter. We start the story about five seconds before a big battle. We don't know the main character, Eelyn, or her friends and family. We know nothing about her, her clan, the world. We jump right into a fight, not knowing why the clans are fighting, or what they're fighting for, or why we should care—particularly when her "dead" brother shows up. I trudged on and about three chapters in, it finally clicked for me. Eelyn is an enjoyable character. She's fierce and headstrong, loyal to her clan and her family. She's not fearless, but she's brave. She has an interesting character arc over the course of the story and it felt natural. I really enjoyed the love interest, Fiske. He is very protective of his family, his clan, and the people he cares about. He's kind of the typical brooding love interest, but with slightly less toxic masculinity, which is thanks to Iri and Inge and Halvard. He's distant for a reason—Eelyn is the enemy, but also not. The slow burn romance really worked for me. It had to be slow; Eelyn had to trust him considering the situation she was in. I enjoyed the darkness of the world. The characters don't bat an eye at blood and weapons and violence. It was kind of fun to escape into this world I could leave with all my limbs and life intact. Sky in the Deep by Adrienne Young was published April 24, 2018. The Wicked Deep by Shea Ernshaw was way better than I imagined it could be. I felt like I lived in the town, knew the characters, was part of the tradition. I could smell the salty sea air and feel the rain drops on my skin. It was vivid, atmospheric, visual, and engaging. characters you can root for! ~is~ there a wrong and right in this world? The Wicked Deep by Shea Ernshaw will be published on March 6, 2018. I received The Hazel Wood by Melissa Albert through NetGalley in exchange for an honest review, and I give it 5/5 stars. The Hazel Wood by Melissa Albert was all I wanted and more. It was atmospheric, slightly off, fun, unique, haunting, scary, beautiful, and unsettling. It was filled with words I wish I wrote. The words. There are chunks of beautiful prose. Wow. I was blown away. The cover. The first time I saw the cover, I was like, "Okay, that's nice," but now that I've read the book I like it even more. The worlds. There is so much going on in terms of world-building. Alice lives in our world, but because of her family, it feels like an entirely different world. There are layers to the fantasy worlds, too, that are hard to explain without spoilers, but wow, again, I was blown away. The characters. I really rooted for Alice to find her mother. Ella was all she had in life and it was heartbreaking to struggle with Alice as she tried to find her mother. Alice was well done and complex and interesting, and easy to sympathize with. The backstory. Alice and Ella's story is woven into the story so wonderfully that pages and pages of backstory didn't feel disjointed from the narrative. It felt alive and active. There is an unfortunate lack of diversity in this book. Finch, one of the main characters, is Black, but that's about it. And he isn't in about half of the book. I predicted a plot point pretty early on (though, it didn't kill the story for me). I would have liked to be more surprised. I'm hesitant to call it "self-harm" because the character isn't/isn't wanting to do it to herself. This is just a small scene, and therefore a small warning, that around the 45-50% mark (I'm sorry I didn't take notice to the percentage or page) there is a potential triggering moment. The Hazel Wood by Melissa Albert will be published January 30 2018. The Edge of Everything by Jeff Giles had an interesting concept that sadly, in my opinion, fell very flat. The insta-love was torturous and based off nothing. The main female character (Zoe) even referred to the main male character (the bounty hunter, X) as her boyfriend after knowing him less than a week and having little to no real conversations, connection, or chemistry with him. I could have tolerated insta-love had it been from only X, though. An unrequited insta-love would have been way better, especially considering X hadn’t really experienced feelings of falling for someone before. That brings up another thing…so many little pivots in the plot could have been handled better and more interestingly. The first 15-20% of the story was the most interesting part and then it’s like Giles decided not to care anymore. Why should I, then? While reading, I just kept thinking about how much better the scenes could be if X and Y and Z happened. There were a lot of ridiculous moments (Zoe let her brother play in a -15 degree blizzard, she Instagramed a murder attempt, her friend Dallas text with words like “dawg,” and Zoe’s mother let her go caving in the winter without supervision, etc.) that I eye-rolled at. Things like that brought me out of the story. Also, this book was the biggest culprit of telling instead of showing. There is just so. much. telling. It was painful. Once I got 60% in, I just started skimming and then couldn’t torture myself any more past 75%. Speaking of 75% in, the plot twist wasn’t that big of a twist. It was predictable. I have no clue how it ends and, frankly, I don’t care. It was painful to force myself to read that far and I decided not to force it any more. The story was split between two POVs, which would have been fine, but it’s also split into parts. So Zoe’s POV part was first, then X’s, then Zoe’s, etc. The characters were separated and doing potentially interesting things, but we stayed with only the one character during that time, which hurt the pacing. I felt like Zoe’s quest to go caving in dangerous conditions was very interesting, and X’s life as a bounty hunter from, essentially, Hell was also interesting. The way the book was formatted did not help. It felt like two separate books were copy/pasted into each other. It was sloppy. The sibling relationship! Zoe and her brother, Jonah, were adorable and close (even though the beginning of the book made me think otherwise) and I liked their interactions. The beginning scenes were very intense, tense, and riveting. It was a shame the story took a steady decline from there. Would I recommend THE EDGE OF EVERYTHING? No, sadly. The Edge of Everything by Jeff Giles was published January 31, 2017. Frostblood by Elly Blake is an engaging adventure that introduces a world and larger story that I'm sure will entertain me and many other readers well past THE END. 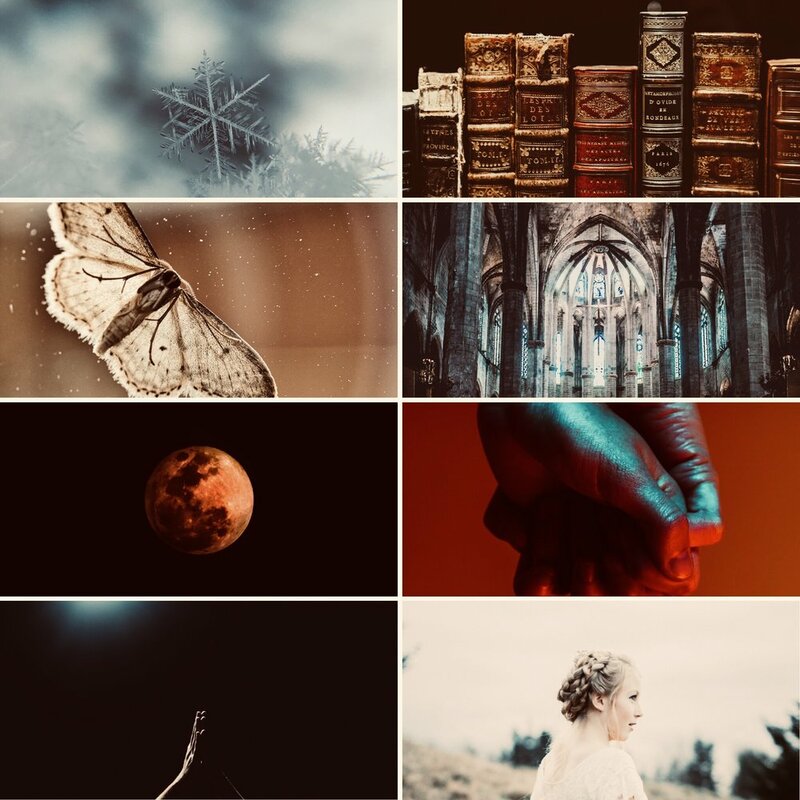 It features a strong, complex main character in Ruby; an intriguing and driven love interest in Arcus; and a unique war between Frostbloods and Firebloods. The characters. Ruby and her friends/enemies are interesting and have their own motives and goals. The ending. The big scene at the end is fun and made me wonder "what if..."
The love. I enjoy a hate-to-love just as much as anybody else and this didn't disappoint. Arcus is a big, dumb, wonderful love interest and his banter with Ruby is very good. Part I vs Part II. There is a very distinctive shift in story that I was not expecting when I began reading. We suddenly go from one story to the other and ultimately leave behind 99% of the characters we grew to like in Part I. No cliffhanger. There is no real cliffhanger at the end of this book. Obviously there will be a continuation of this story (as there is a book 2 and 3 planned), but there is enough closure that I could forget about this book and what may happen if I wasn't a reader who is constantly involved with the publishing world. Frostblood by Elly Blake will be published January 10, 2017. I finally finished Labyrinth Lost by Zoraida Córdova! I started it what felt like eons ago, and took the longest break right as the story got good. I have no clue why that happened, but the most important thing is that I finished it and liked it! I like that Alex is flawed. She doesn't want her magic, tries to get rid of it, and has to embrace it when her family vanishes. She's just the perfect amount of sassy, confident, and horribly unprepared. I was rooting for her during the story. The world of Los Lagos is pretty cool, too. I couldn't picture it as a world, more like an island, but it was interesting and satisfying nonetheless. My favorite part of the book was the "tea party" scene, reminiscent of Alice in Wonderland and something else that I can't put my finger on. I would have been pretty thrilled if the entire story kept up that vibe. The characters are likable, problematic, and fun. Her sisters are adorable, lovable, and real. Nova has the whole dark, broody thing going on, but he's super helpful and I think he needs protected at all costs. Rishi is the opposite of him, a light, bubbly presence that brings hope to Alex's otherwise dreary journey. I loved the entire bruja, Brooklyn world and look forward to exploring it more in the next book. I also liked that the tired story of MC makes a mistake, must fix it/save people she loves by traveling to a different world and fighting a bad guy trope was totally revamped. The story felt more tell than show at times, not delving too deeply into the characters. At points, I would have liked a little more detail. The pacing was really good, but I still found myself setting the book down at 25% and barely acknowledging it for months. I'm not sure why, but I think that's worth noting. Labyrinth Lost by Zoraida Córdova will be published September 4, 2016. I want to start off by saying the description of the book is rather misleading. Gwen does not struggle with whether or not she should stay, not really. She pretty much enjoys her time in Neverland until Peter plans on flying back to reality. That being said, the book wasn't terrible, but it wasn't great. It did end in a way that makes me believe there's going to be a second book. If that's not the case, I definitely didn't care for the ending. Gwen says she has a fear of heights/falling, but 1) she flew into the sky with no problem and 2) she can FLY, so...? The Neverland Wars by Audrey Greathouse was published May 9, 2016. I received this review copy from the author in exchange for an honest and timely review. It's with a heavy heart that I rate the fifth and final book in the Air Awakens series, Crystal Crowned by Elise Kova, 3/5 stars. That rating is by no means a bad rating, but it crushes me to give it considering I gave the other four books in the series 4/5 stars each. There was just something about it that did not entrance me the way the previous four did. The entire series earned a 4/5 stars from me, though, and I give that rating happily. For reasons unclear to me right now, the fifth book didn't really 'do it' for me, but the series definitely did and I highly recommend it. Most of the characters that we know and love developed further in Crystal Crowned: some made us cry, some made us cheer, some pissed us off. When I say us, I obviously mean me, but I feel better imagining that I'm not the only one who felt this way. The Biggest Character Development Award goes to Vhalla. Aldrik came a long way since the first book, but Vhalla came farthest. The Vhalla I read in Crystal Crowned was a completely different character while still displaying the finest qualities of the library apprentice we all started reading about. And the best thing about her complex, five-story arc, was that it was natural and not only because of the situations and environments she was forced into, but because it's who fate needed her to be, who she would always become since her first day. This series spoke of destiny and fate, and I was not disappointed in the journey Vhalla took to reach her full potential and achieve her destiny. Crystal Crowned felt slower to me than the previous books. That might be why it took me so long to get through it unlike the others. The beginning started off slow, attempting to start and end storylines all at once, and didn't pick up speed until the last quarter or so. The story was told in distinct sections that almost seemed to correlate with the locations they inhabited. Speaking of #Vhaldrik, the romance between them had also slowed down and became even less of a focus in Crystal Crowned. This time, the focus was on their love maturing more than their love making. While I was disappointed in this (Hahahahaha, I am #Vhaldrik trash through and through) it was nice to see this well-developed relationship come to a point that's been building since page one. Crystal Crowned seemed to focus more on their relationship as Emperor and future Empress, which was expected (and good), but just not what I was used to and expecting from this final installment. Now I know this review might seem more negative than positive, but just know that I did enjoy Crystal Crowned and definitely the series as a whole. The ending of Water's Wrath set up a hard journey for our cast of characters and seeing how it played out was important for me, as a reader, in my own journey to closure with the series. While I can't say that I felt each character experienced their own closure, the book did end in a satisfying way that left me asking a minimum number of questions, but still wanting more--not so much so that I needed to harass Elise Kova for more details and a spin-off series, though (Mind you, I did consider it and I do need a spin-off). And on one last final note, I know you aren't supposed to judge books by their covers, but this series has the most beautiful covers that you can totally judge the books by. The covers are the reason I first looked into Air Awakens and I don't regret it one bit. So. freaking. beautiful. Crystal Crowned by Elise Kova, the fifth and final installment in the wonderful Air Awakens series, will be available to read and devour on July 12, 2016. I hope you'll pick up the entire series and love it as a whole like I did. Within less than a year, Victoria Schwab has become one of my favorite authors. It's no secret that I love her Shades of Magic series, which is not YA, but so so fantastic, so I was very eager to jump into this world of monsters in This Savage Song. While this is by no means my favorite of Schwab's books, I did enjoy it and look forward to the second (and final, I believe) book in the series. First and foremost, I need to say that this book was not as strange as it was hyped up to be (in my opinion). Despite the book being about monsters, there was a lack of them, violence and scariness that I had expected from Schwab. Another thing that I felt was lacking: plot. The book had a great fourth quarter, but the three leading up to it were slow, weighed down with character development and world building (as is Schwab's style), but I wanted a little more action. But speaking of character development: only the two main characters, Kate and August, seemed to have any real depth to them. The side characters were villainous or slap-stick, and some quickly faded into the background to be forgotten all together. I expected more complex characters, not the trope-y, cliche characters I read. Hopefully the second book will further everyone's development because I feel this story and the world really deserve it and Schwab is excellent at character development typically. This was a Romeo and Juliet retelling and, let me tell you, it's better and it doesn't even have any romance (not yet, at least). Schwab is good at creating slow-burn romances and I'll be here waiting. And the thing is, if the romance never comes, I'll still be happy because the relationship between August and Kate was interesting. Nearing the end of the book, there were a few plot twists, but the big one was the one I didn't see coming (which is great because it's THE BIG ONE). It genuinely made me go "OH SH*T" because I knew I should have seen it, but I didn't. The ending that follows wasn't very "cliff hanger-y," but it still left me wanting to read more, know more, experience more in this world. I felt that Schwab created a big world, but we've only hit the tip of the iceberg. Do I recommend this? Yes, while also recommending Schwab's Vicious and Shades of Magic series (A Darker Shade of Magic and A Gathering of Shadows). This Savage Song will be published July 5, 2016.